Now as you might know, clipping your nails isn't a good idea, your nails are made out of layers (which you can clearly see when they chip) and clipping them puts pressure on these layers. So filing is already nicer for your nails, but personally, I don't touch my nails with anything but glass files, because these are much more gentle for your nails than other files. And ever since I use glass files only, my nails have improved a lot! 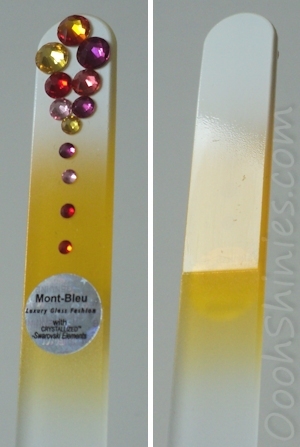 First up is this file (MC-M09 which costs €10,-) from their Crystal line. 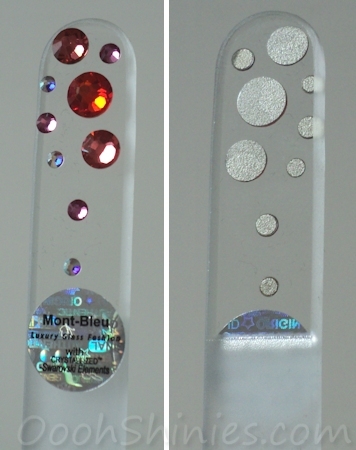 The file is 13,5cm long and the top has Swarovski crystals on it, and the file comes in a soft, velvety protective cover. You can use the file on both sides and you can clearly see where the file part ends. This hard case nail file costs €9,- and it's perfect for travelling as well. It's 12,5cm long, useable on both sides and the hard case will protect it from breaking, while still giving you a nice size file and a good grip. 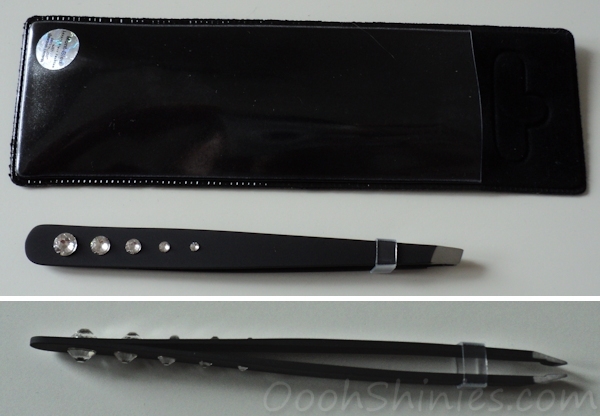 Lastly, this slanted tweezers (CT-01.1 which costs €12,-) has a soft feel to the black, and has Swarovski crystals on both sides. The matte black combined with the crystals really makes it looks luxury! I will be using this for my eyebrows, but tweezers are also handy for nailart, to help pick up fine things.